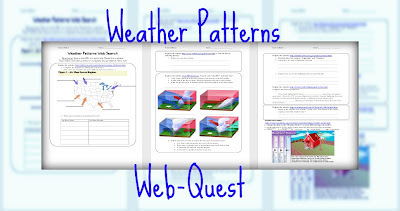 Haven't used a Web-Quest before? and interactive activities, as well as complete the packet. and the students will do the rest! Check out my other web quests on TpT too! In my experience, the students really enjoy the web-quests. Please comment and share any great websites, online activities, or Web Quests you have used! I love your webquest! I use webquests all the time. Well, not so much in this very moment because somehow all our computers had to be taken to the district office for some kind of wipe/ rebooting/ rebuilding, but yes, I use them as often as possible. My kids love them. I can't wait to try this one out on my sixth graders. Do you teach any grades besides 6th? I teach 6, 7, 8 science to primarily at-risk kids in an "alternative school." I'm always looking for new ideas that don't involve grouping in much more than partners. Each year it changes, but this year I have 7th grade science (Our science curriculum just went spiral so I teach earth, life, and physical. ), 6th grade inclusion math, 7th grade resource math. I hear ya on the partners. Web-quests?!?!?! Where have I been? How do you design them exactly? I'd love more info/help on how to create one. Since our middle schoolers are online all day anyway this sound like a fun thing to do with them! I love using Webquests too. The site www.zunal.com is a great database for lots of webquests. There are some not so good choices, but some really excellent projects.